GlobalData’s latest report, Q3 2018 Global Ammonia Capacity and Capital Expenditure Outlook – Iran and India Continue to Drive Global Capacity Growth states that the global ammonia capacity is poised to see considerable growth over the next nine years, potentially increasing from 241.9 million tonnes per annum (mtpa) in 2017 to 286.4mtpa in 2026. Around 94 planned and announced plants are slated to come online in the next nine years, primarily in the Middle East and Asia. In the Middle East, Iran has 21 planned and announced ammonia plants, expected to start operations with total capacity of about 8.4mtpa by 2024. Capital expenditure (capex) for these plants totals $2.07bn over the next nine years. Major capacity additions will be from The National Petrochemical Co. In Asia, India has 15 planned and announced ammonia plants, with a total capacity of about 7.9mtpa by 2022. Capex for these plants is $8.09bn. 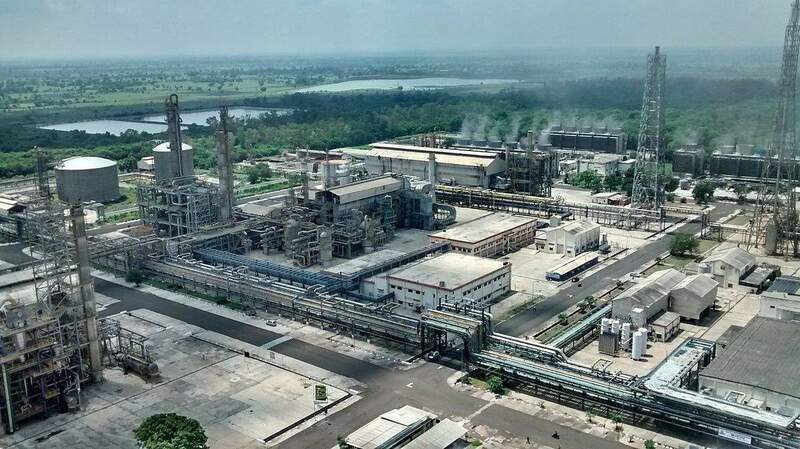 Major capacity additions will be from Rashtriya Chemicals and Fertilizers. The US has nine planned and announced ammonia plants, with a capacity of about 3.1mtpa over the next nine years, and plans to spend $2.45bn. Major capacity additions will be from Cronus Corporation and Ohio Valley Resources LLC. In the Former Soviet Union, most ammonia capacity additions are in Russia, with capacity of about 3.0mtpa by 2021. Capex for these plants totals $1.98bn by 2021. MCC EuroChem is the top company accounting for the major capacity additions in Russia. In South America, the major ammonia capacity additions are in Peru, with planned and announced capacity additions of about 0.9mtpa by 2020. Capex for these plants totals $0.76bn. In Africa, Nigeria plans to spend $4.12bn and add capacity of about 5.0mtpa, expected to come onstream by 2021. In Europe, Slovakia and Hungary together plan to spend $0.13 billion and add capacity of 0.7mtpa, expected to come onstream by 2018. CF Industries Holdings, Yara International ASA, and Nutrien are the top global producers of ammonia, with capacities of 10.1mtpa, 8.6mtpa, and 7.5mtpa, respectively, in 2017. 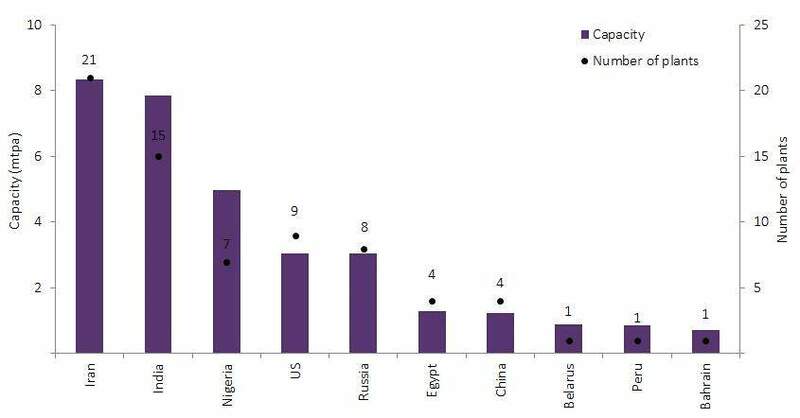 Dangote Group, Rashtriya Chemicals and Fertilizers, and MCC EuroChem are the top three companies by planned ammonia capacity additions globally over the next nine years.